We are now open at our new location at 8909 W Central Ave. Come see us! 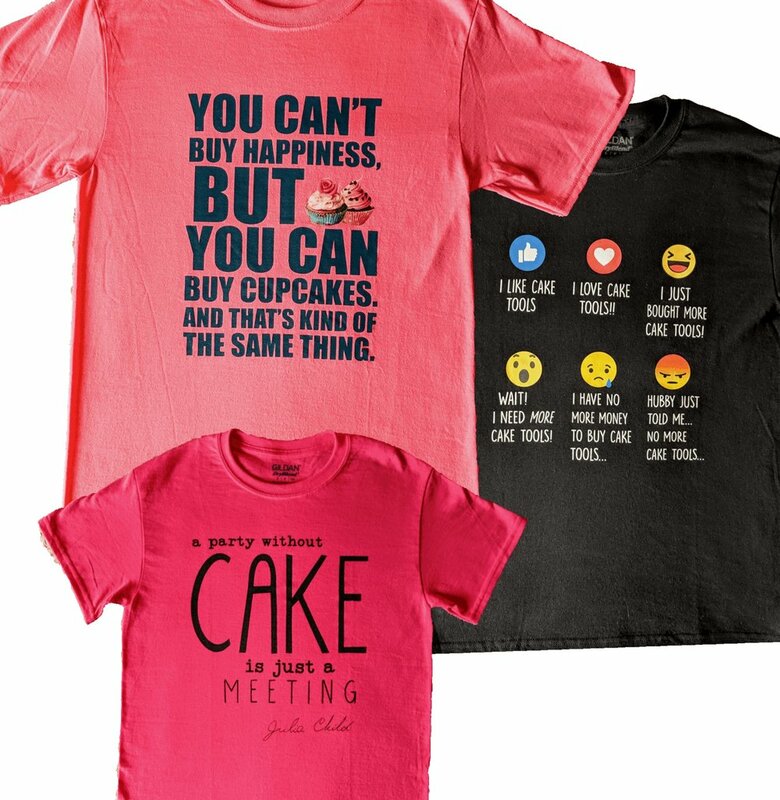 Cake Stuff t-shirts now on sale in-store. Cake Stuff is a family owned business specializing in cake decorating, cookie, and candy making supplies. We are located in Wichita, KS and provide shipping to all areas of the country. We carry products from over 40 manufacturers and are also a full line Wilton dealer. Cake Stuff started as a retail bakery in Wichita, Ks in 1992. In 2000, Cake Stuff began selling supplies for cake decorating and candy making. Cake Stuff soon expanded into mail order in 2001. We provide cake decorating, cookie decorating, and candy making classes. We also have new items added regularly. Licensed items are available at our store. Here at Cake Stuff, we provide a knowledgeable staff to serve all of your cake decorating, cookie and candy making needs. Our staff makes a combined experience of 78 years. Our goal is to make your shopping experience with us a 5 star experience. We are located on the South West corner of Central and Tyler in the Westlink Shopping Center.